King Kooker Cast Iron Biscuit Pan cooks 'em up hot and fresh at home or on the trail! Fluffy, light biscuits and cornbread cakes guaranteed! 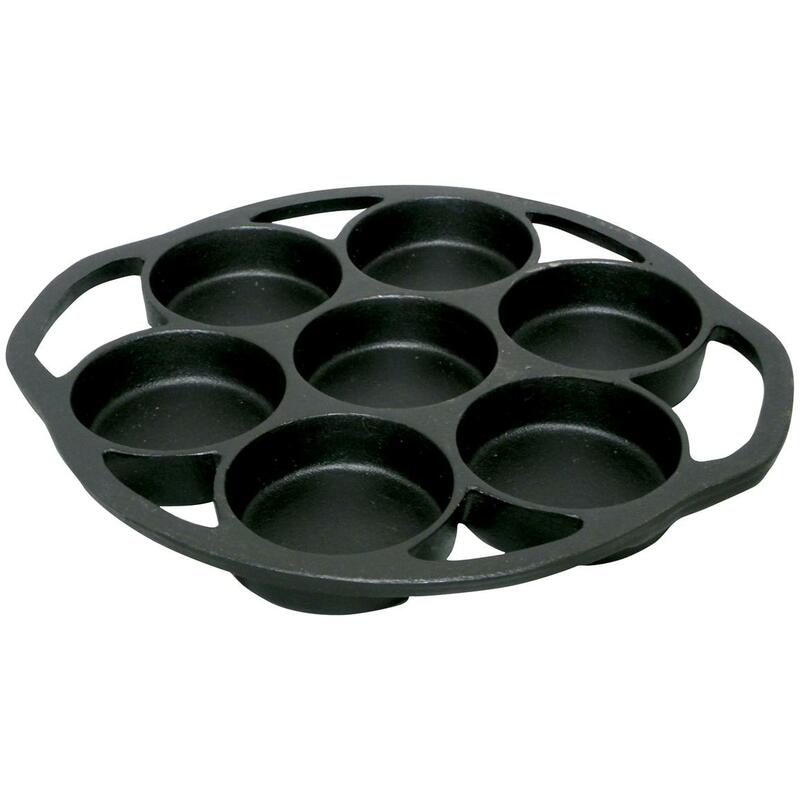 The King Kooker Cast Iron Biscuit Pan makes it easy - bakes up to seven biscuits at a pop! The thick, solid cast iron construction means even heat distribution for consistent results batch after tasty batch. 1/2" x 9 1/4" x 18 1/5" . Cook it up hot, fresh and tasty with King Kooker! Order ONLINE Today!